What Josh Hess loves about theater is the backstage magic: working the lights and bringing all the technical parts of the show together just right. 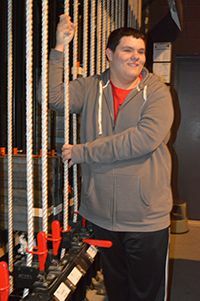 “This is definitely my passion,” said Josh, who is in his second year of the Kent Career Technical Center’s Regional Theater Technology Program housed at the Van Singel Fine Arts Center at Byron Center High School. 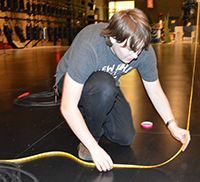 The Kenowa Hills High School senior said he’s become so well-versed in backstage work that he’s used lighting design ideas learned from professional technicians at his school’s plays and musicals. He also shares his knowledge with the class’s first-year students. Six girls and six boys are enrolled in the class, which teaches all things theater except performance. The class covers lighting, sound, rigging, set design, costume and makeup. With capacity for 25 in the program, administrators hope to increase interest. Students can attend for one or two years. The class started in 1998 at Van Singel, one of the first venues of its kind in the region serving high schools and presenting high-quality shows and entertainment. Juniors and seniors come from all over the county for the two-hour Monday through Friday class. They work on at least six productions a year, including large-scale professional performances presented at Van Singel. They join professional technicians and designers for big-time shows, like Broadway’s “Rox” and “Ring of Fire” this fall. While tinkering with backstage lighting during class, Hess said working the shows is the best part and often requires a morning-to-night schedule. During last year’s production of “Fiddler on the Roof” he worked the lighting and rail, which involves “all the stuff that moves up and down” like lighting fixtures, theatrical scenery and curtains. Hess said his dream job is to become a technical director or master electrician. Students cover everything taught in an introductory level college course. 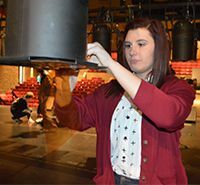 Many are ready for careers in theater and entertainment, said Amber Schrier, Van Singel technical director and class instructor. Students can earn two Grand Rapids Community College credits and up to 12 Davenport University credits by completing two years of the program. Schrier said skills developed also translate to careers as wide-ranging as electronics and makeup. Students said their interest in the class comes from a love of theater or an affinity for the technical side of things. “I like to be backstage when it all comes together, and it looks really great,” said Kaitlyn Liptrot, an East Kentwood senior. Schrier attended the program in 1999 as a Byron Center High School student and went on to graduate from Michigan State University with a degree in Interdisciplinary Arts and Humanities. 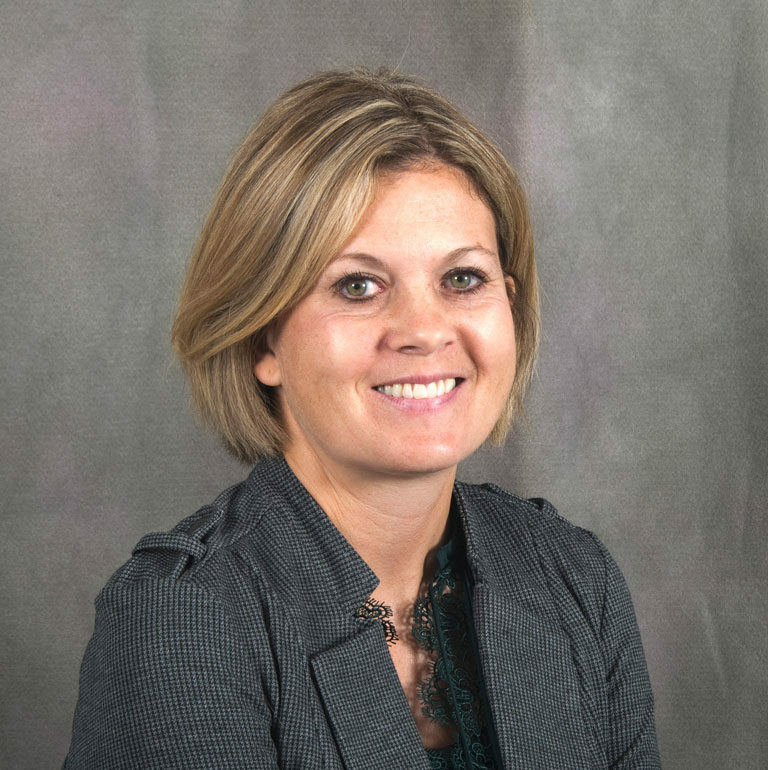 She was hired as the course instructor and Van Singel technical director in 2007. “I brought it full circle,” she said. While at MSU, Schrier discovered she knew all the material in the introductory theater courses because of the KCTC class. Professors took notice and allowed her to test out of courses. “As a sophomore in college, I was taking graduate level courses,” she said.